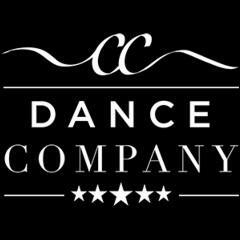 Dance Classes, Lessons, Events & Courses for CC Dance Company. At CC Dance Company we are committed to encouraging all dancers and performers to strive for excellence and enjoy the journey along the way. We believe each child has the ability to increase her/​his physical, emotional, and intellectual well-being through our dance tuition. CC Dance encourages strong self-confidence, self-respect, discipline and appreciation through the fine arts of performance. Dance Studio/School, Regular Dance Classes. Dance Styles: Line Dance, Modern Sequence, Aerobic, Ballet, Tap Dance, Jazz Dance, Stage Dance, Freestyle Dance, Ballroom, Street Dance, Cheerleading, Ballet (English). All Entries for The Studios Venue. Line, Modern Sequence, Aerobic, Ballet, Tap, Jazz, Stage, Freestyle, Ballroom, Street, Cheerleading, Ballet (English) Instruction, Practice. Contact organiser for times and further details.